Habits don't change, but only technology adds up. Can't get what I am saying? 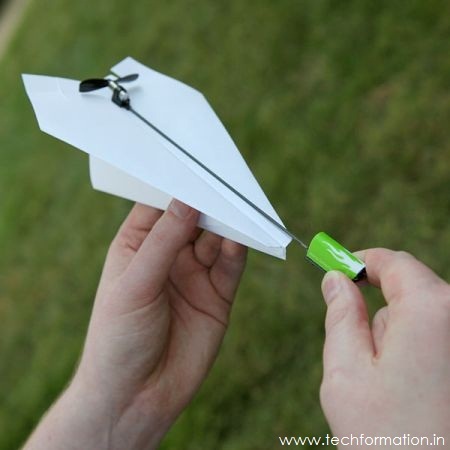 In our childhood we used to play with paper rockets and get fascinated by it. But kids these days are playing with the same rockets but in addition to some technology, which resulted in Electrical Paper Planes. 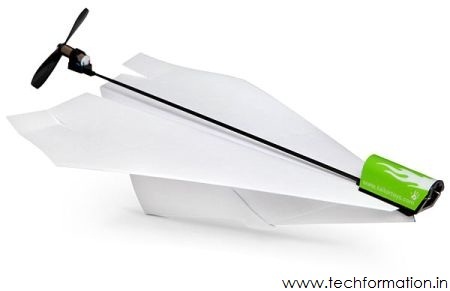 This paper plane kit is provided with a hook with a propeller like fan which can be clipped to the paper plane. And this can be initialized by a battery which takes your plane into the air. 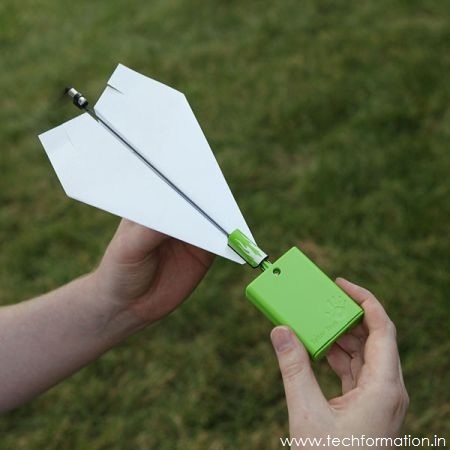 Recharges in 20 seconds and keeps on flying for about one and half minute. Buy it here for $19.99 only.